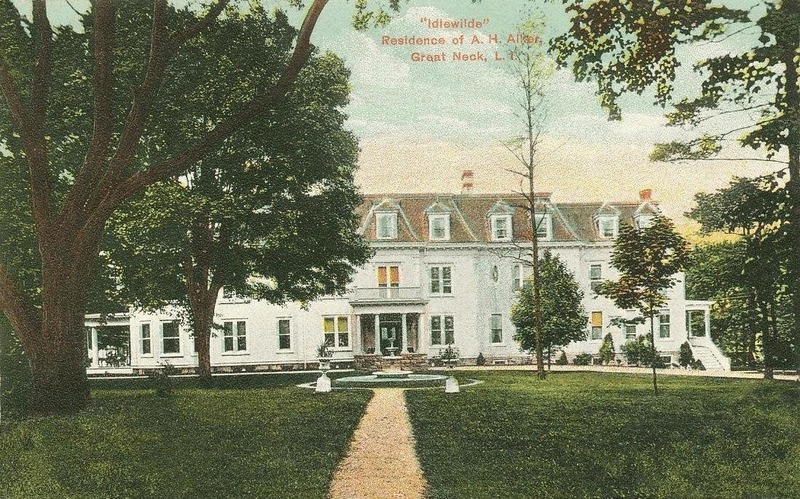 'Idlewilde', the Alphonse Henry Alker estate built c. 1896 in Kings Point. Alker was an attorney and co-founder and vice president of the Pennsylvania Cement Company (later the Pennsylvania-Dixie Cement Corp.). Alker's son Carroll had numerous homes on the north shore, click HERE to see his c. 1930 residence. 'Idlewilde' was demolished c. 1950. 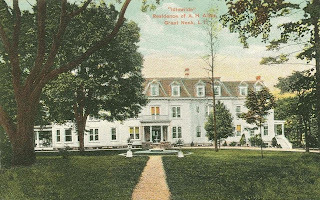 Hard to discern from the colorized postcard, but it would appear that Mr. Alker applied his product liberally to the exterior? Off topic but what remains of Villa Mille Fiore has come onto the market for a cool $38M, offered by the family that owned the property for 50+ years. This is a beautiful card. I love the house and the coloration. Wonderful!